I am a whole new me in every way imaginable. In 2013 I began a journey that has quite literally transformed my life. 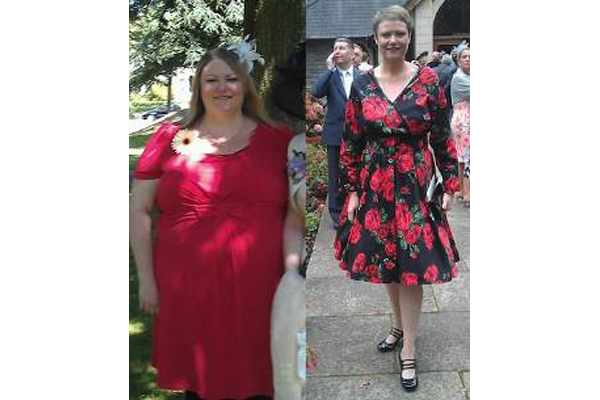 After 20 years in the music industry I entered back into education to do a business degree and I also made the decision to have bariatric surgery. Having developed Sleep Apneoa and other various health issues due to clinical obesity, I was a candidate for surgery and was fortunate enough to undergo the surgery in March 2014. Now, 2 years later I have graduated with First Class Honours and I have lost 87.4 Kilos (13 stone, 10 pounds). I am incredibly proud of my achievements but the journey has been a huge challenge both physically and psychologically. Having a gastric by-pass resulting in such a huge weight-loss comes with its own issues, one of which is being left with a significant amount of excess skin. I was a model patient and followed all of the advice from my bariatric surgeon and the nutritionist. My successful weight-loss has been the result of both the surgery and my own discipline and determination to change my lifestyle to improve my health. The bariatric surgery I received enabled me to begin to address my relationship with food. I completely changed my diet and eating habits and took regular exercise. I can honestly say I now have a healthy relationship with food and no longer see it as my enemy and I am a great cook! From the very beginning I knew I would need to have further surgery to remove excess skin. I would have to fund it myself as it is no longer available on the NHS, so I started saving. In March 2014 I was admitted to The Oaks hospital to have my gallbladder removed as I had developed gallstones. 70% of bariatric patients end up developing gallstones post-surgery and unfortunately I was one of them. It was during my visit the The Oaks hospital that I inquired about plastic surgery. Mr Matthew Griffiths was recommended to me. I carried out some research which I would always advise anyone to do when considering any surgery. I also spoke with my GP who followed up on my research and together we were happy to go with Mr Griffiths. From the very first appointment Mr Griffiths has been wonderfully supportive. He is always honest, kind and professional, and most importantly he communicated all of the information in a way that I fully understood. My first surgery was an abdominoplasty in July 2014. Mr Griffiths removed 6 kilos of excess weight which for him was a new record. The surgery went extremely well and my recovery was straightforward and unproblematic. My last surgery was in June 2016, just a few months ago. This time I had a breast reduction and uplift and a brachioplasty (arm surgery). Again, I recovered very well. I am overjoyed with the results of my surgeries and cannot thank Mr Griffiths and the staff at The Oaks hospital enough. The care I have received has been exceptional both during my stays in hospital and in the aftercare with the outpatient nurses. I am looking forward to beginning a new and exciting chapter in my life.